Support us today for the open source work as the Turn Off the Lights browser extension (that is available for Google Chrome, Firefox, Opera, Safari and Microsoft Edge) that is designed for all kinds of activities on the internet. Such as to keep you focused on your favorite YouTube video on the web, convert all websites in a night mode, or to protect your eyes late at night. However, to keep this unique tool and project alive, we need to pay for servers, staff and rent. Due to the very small number of donations, the project may be closed. Please support further development with a donation. We appreciate any amount for the Turn Off the Lights Browser extension. Since this month you can also donate to the new payment system from Alipay (that is mostly used in China). On the Turn Off the Lights donate page can pay with the following currency: USD, Euro, Pound, Russian Ruble and Chinese Yuan (Chinese: 元; pinyin: yuán). And also the cryptocurrency Bitcoin is available as a payment option. If you cannot make a donation of an amount, then you can support our work by rating the browser extension to 5 stars, and share it with your friends on your favorite social network. Support Us Now! 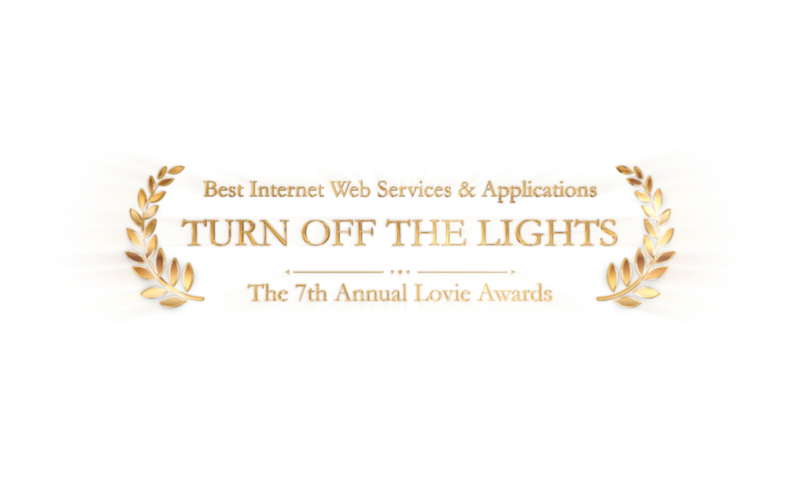 Turn Off the Lights won recently also the Lovie Awards for the Best Internet Website Services & Applications. And the People’s Lovie Awards at the 7th Annual Lovie Awards that happens in London, UK. This will motivate us to build great things for you as a user. And to continue listening to our users on your review and support page. We can say to you that more exciting news is coming very soon this year, that will blow you ways of the new (free) things you can do on the web. We can not wait to share this you. But until now you must wait a small bit.